Save time & effort without sacrificing flavor! 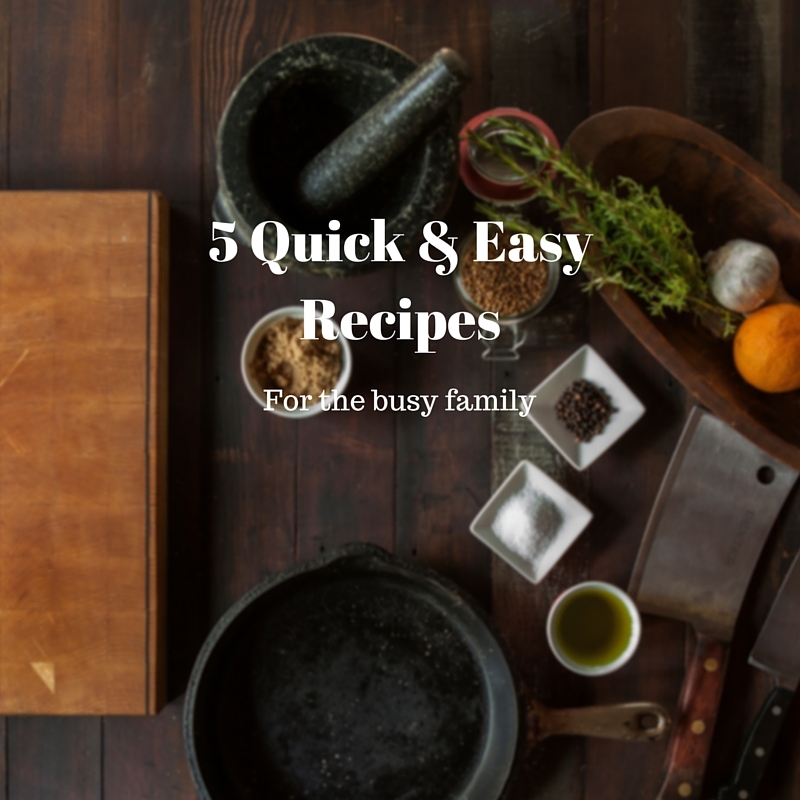 Do you find yourself cooking the same quick go-to meals week after week for your family? Or struggle finding simple recipes that use ingredients you already have in your pantry, but still tastes good? In our family, we have activities going on almost every night of the week. Sometimes it’s SO tempting to skip the cooking and go for the fast food drive-through. The last thing I want to do (especially during my typical evening time crunch) is waste time, first, staring and the fridge wondering what on earth I’m going to make that’s different from that same old usual we revert to every week, and second, staring at the stove waiting for it to cook. Thankfully, I have a husband that loves to cook. He helps me out on those busy days when he has more time than I do. Other nights, he feel the same way I do. Can you relate?! Before you go through that drive through, try these 5 easy recipes. They’re your answer to getting out of the meal monotony and begin thinking outside of the box! Enjoy!